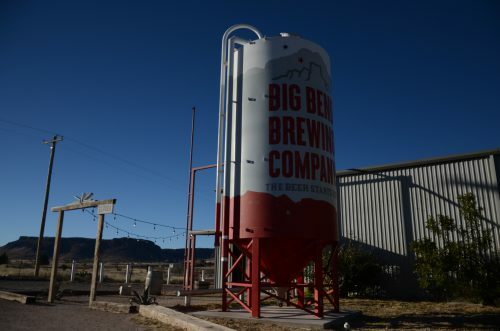 Less than a month after Big Bend Brewing announced it was closing, the popular West Texas brewery this week announced it will still hold an annual event in Valentine, Texas. For the last six years, Big Bend Brewing has held a Valentine’s Day festival in the far West Texas town, population 86, celebrating with craft beer, music and food. But shortly after the group “suspended operations,” questions began to rise about the fate of its annual festival. Unlike previous events, this year’s will be smaller and “much more informal,” according to the post. For instance, this year’s Feb. 14 event will be free, although donations will be accepted at the door. The brewery also said they won’t be selling merchandise or beer at this year’s Valentine’s in Valentine. However, the Alpine taproom will open on Feb. 14 and 15 from 11 am to 2 pm for anyone looking to get the brewery’s specialty bottle― one of the last items in production before the group halted operations. In December, the Alpine brewery announced it was stopping operations. The independent brewers were in the middle of expanding to San Antonio when the Candian company they were purchasing production equipment from went bankrupt. The company has suggested the brewery could come back in the future. “We remain hopeful and are working hard to make the stoppage temporary,” read a statement from the company late last month. This entry was posted in KRTS News and tagged alpine, Big Bend Brewing, valentine's in valentine. Bookmark the permalink.